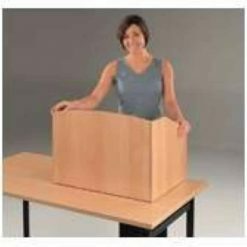 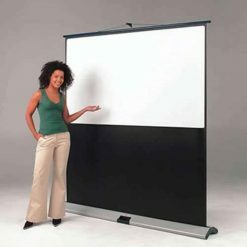 The Leader Electric range of mounted projection screens are simple to use. Once mounted, you just plug it in and they are ready to use! 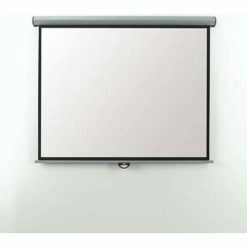 They are supplied complete with an in-line switch to control the screen and a 13 amp plug. 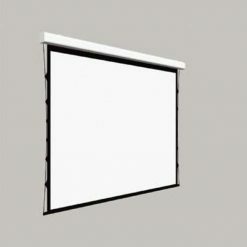 A 30mm black border runs around all four sides of the brilliant matte white screen on all of the models wheras the larger 240cm model has a 50mm black border. 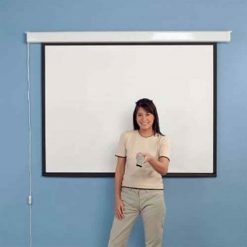 The high quality matte cloth ensures that there is virtually no glare from the screen, providing you the best quality picture from the projector. 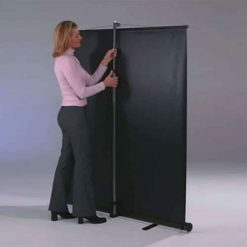 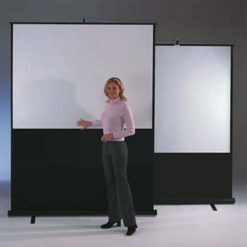 The projection screen is easy to mount on either a wall or a ceiling. 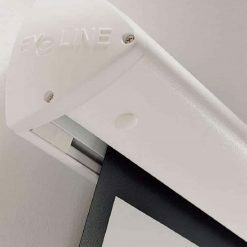 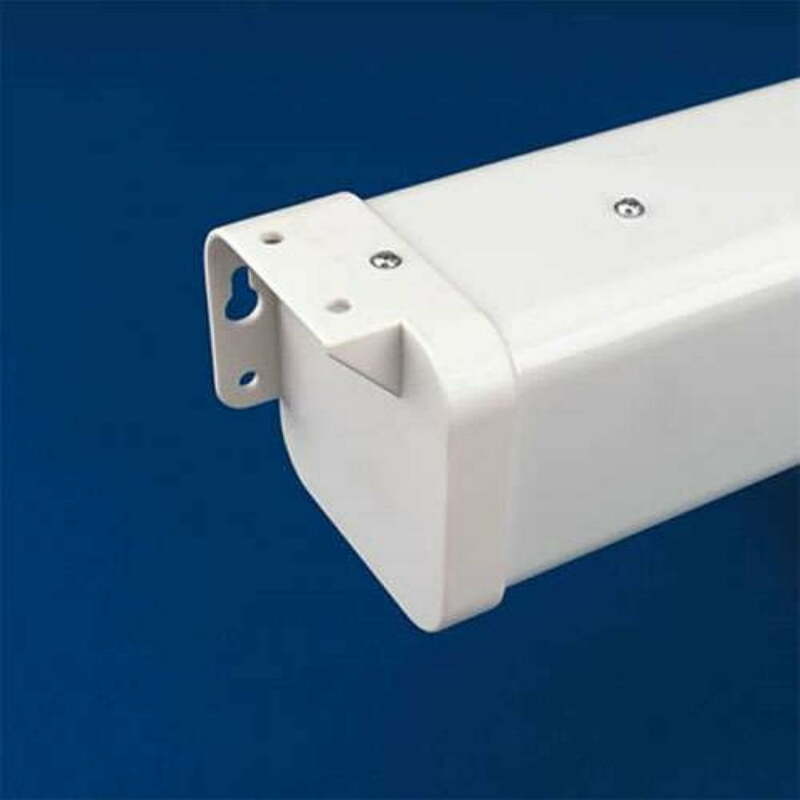 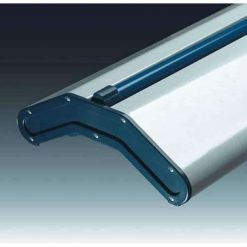 It comes with sturdy universal end plates allowing for a range of mounting options. 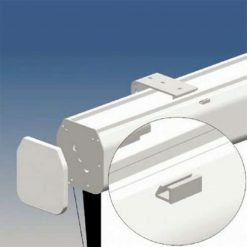 The cable comes out of the left hand side of the projection screen mounting, with the motor situated on the left side as well.